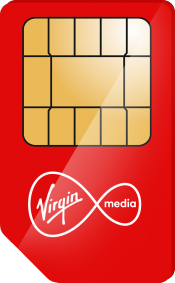 This handy Virgin Media 4G SIM allows you to save any unused data to use in the following month. That’s not all, with free WhatsApp and Facebook Messenger you can share your photos and catch up with friends without eating into your data allowance. Don't be tied down, pick up a Virgin Media 4G SIM card with just a 30 day contract. Catch up with friends and share your pictures without eating into your data with free messaging on WhatsApp and Facebook Messenger.